Gain a foundation of business knowledge combined with expertise in accounting, taxation, auditing, law and finance. Our Business School is in the top one per cent worldwide3 and has been awarded an overall five stars for excellence in the QS Stars Ratings 2019. Our range of undergraduate business degrees include common core courses in first year – you can then specialise in a chosen area, change your major, add a minor, combine two degrees, or and pick and choose from professional electives so you graduate industry-ready. 1QILT: Graduate Outcomes Survey 2016-18 – Full-time Employment Indicator (Undergraduate). Public SA-founded universities only. 22019 QS Subject Rankings. 3UniSA Business School is one of just nine institutions in Australia and 180 globally to be accredited by EQUIS (from over 16,500 worldwide). EFMD, February 2019. We offer a wide range of undergraduate combined degree combinations so you can specialise in two fields and expand your career prospects. See how you can pair two interest areas and tailor your qualification. Learn more. 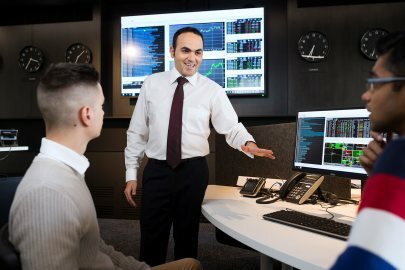 The UniSA Business School offers eligible Year 12 students interested in accounting or finance the opportunity to receive a $1,000 grant towards a professional industry development or global study experience, plus a course substitution. Learn more.